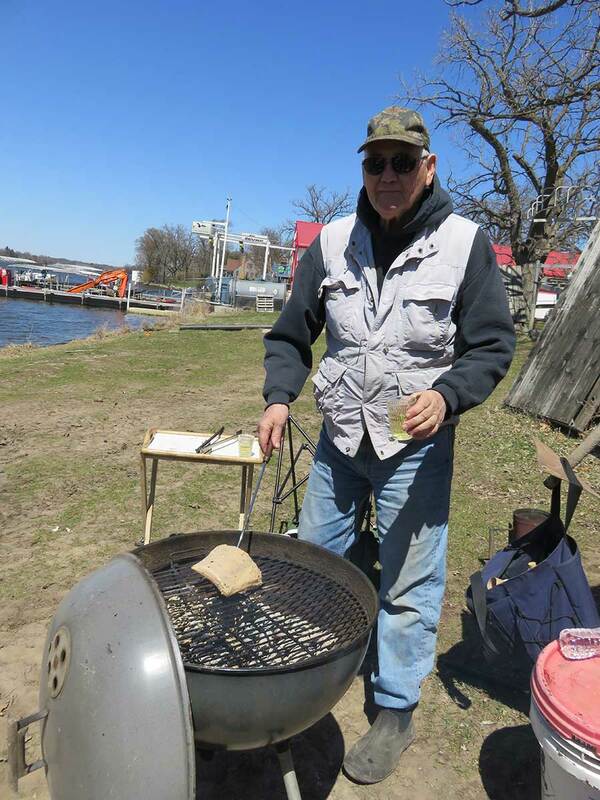 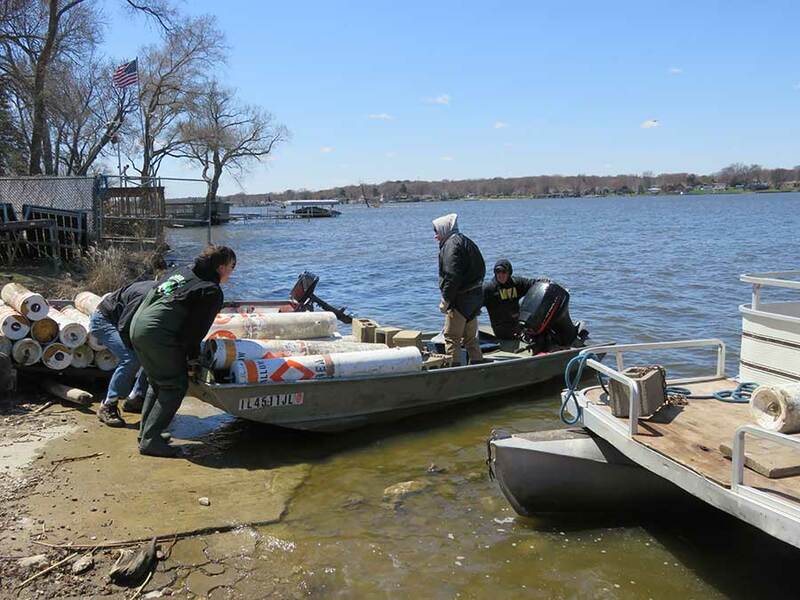 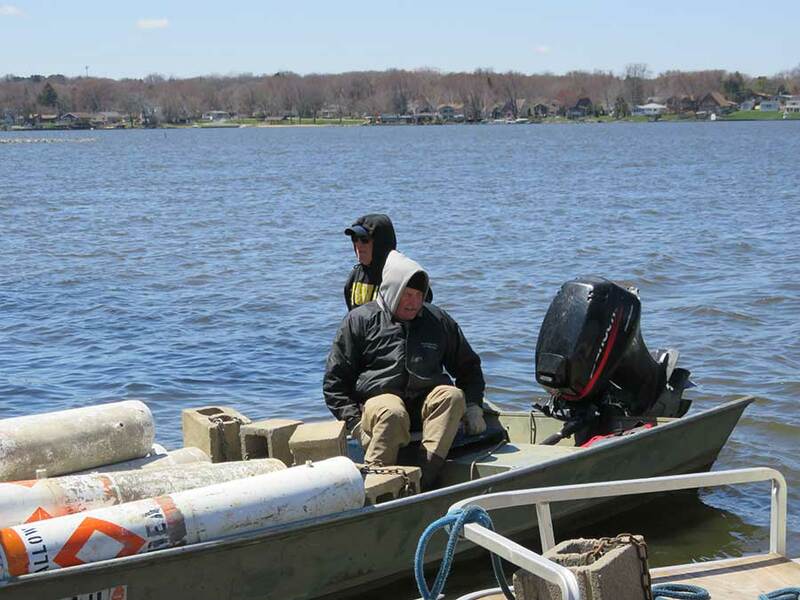 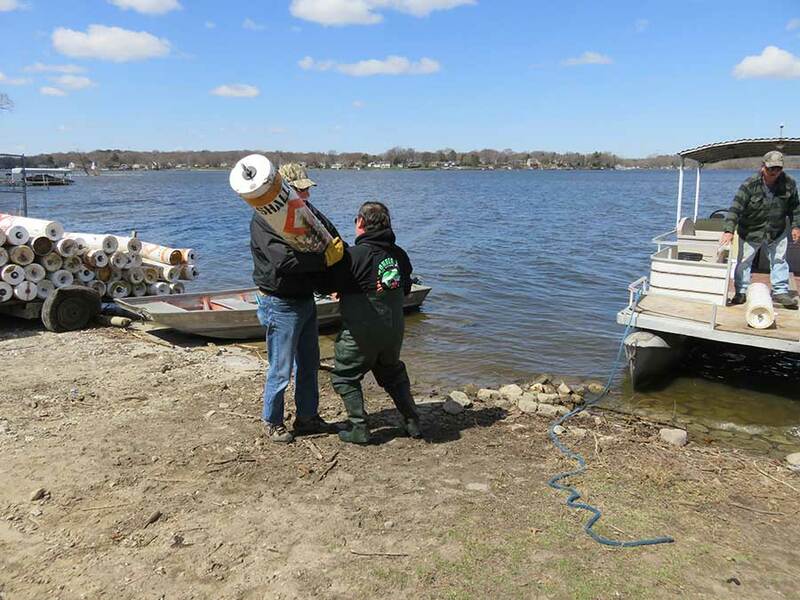 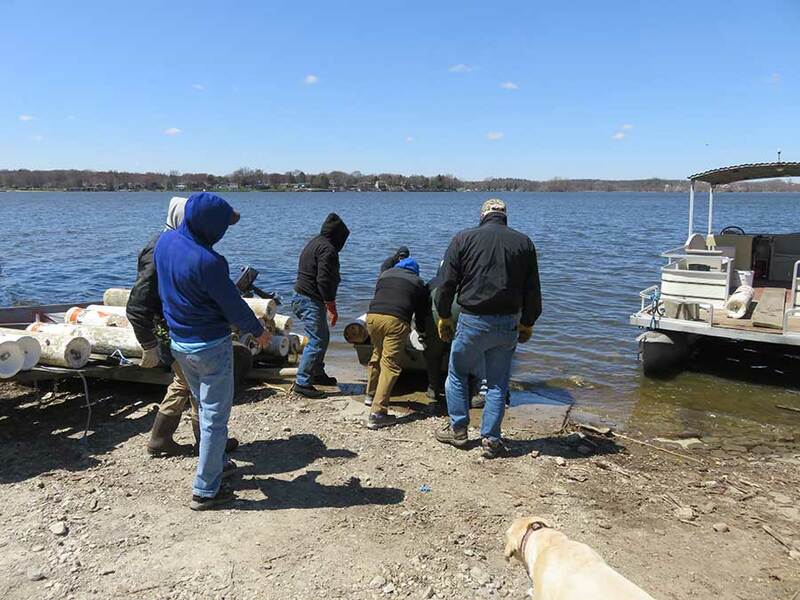 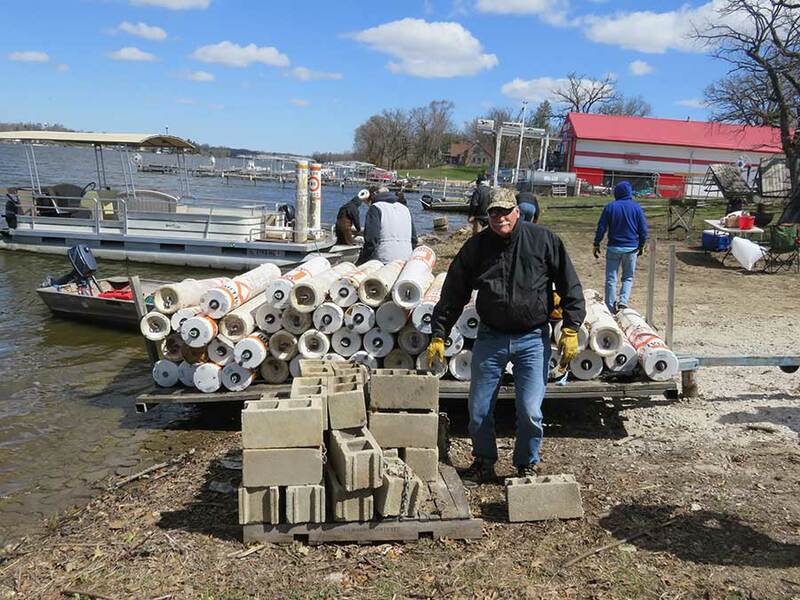 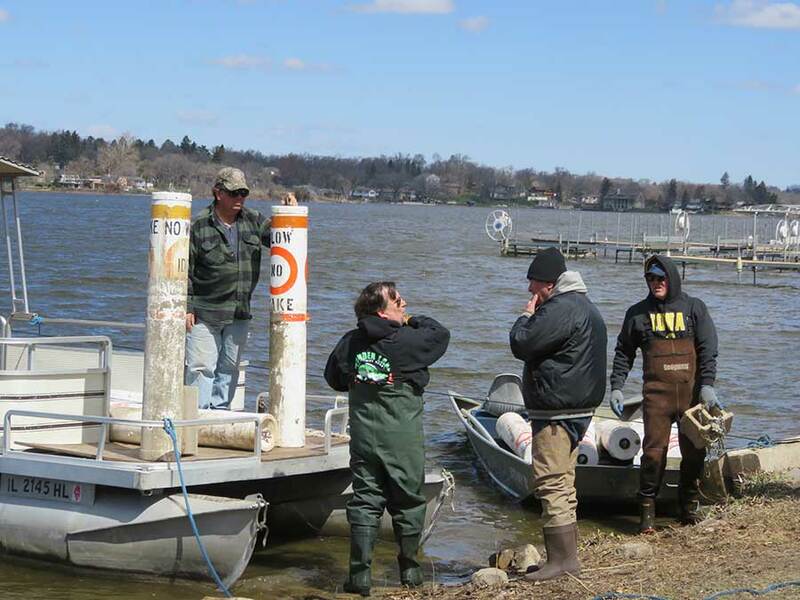 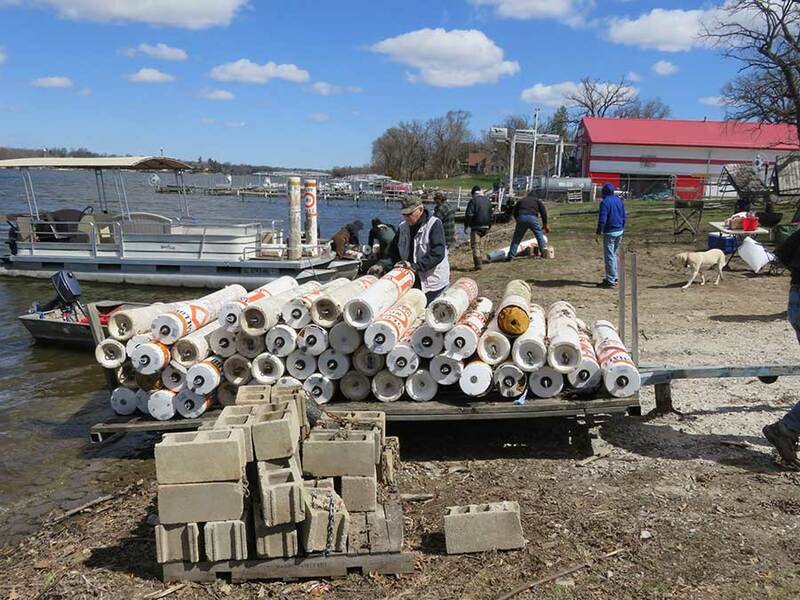 It was a little windy and chilly out there on Wonder Lake, but 10 hardy souls from the Yacht Club and some helpers from the Sportsman's club put the buoys in the lake on Saturday, 4/28. 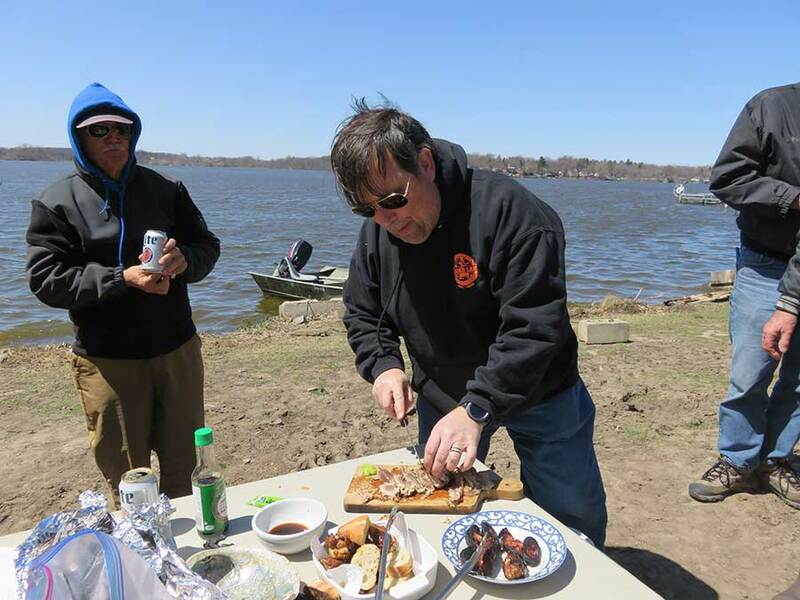 No work detail is complete without some custom grilling which includes Ken's marinated seared tuna. 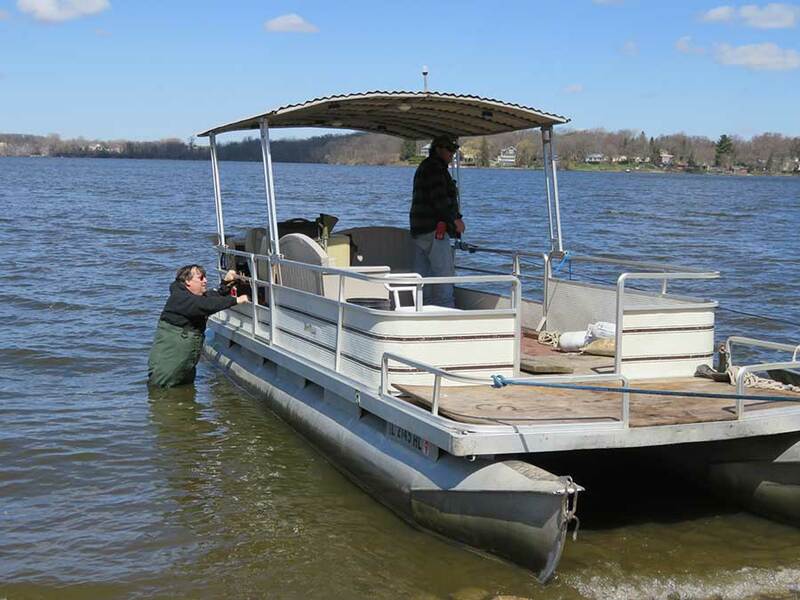 A big thanks to Dennis for rallying the troops, Tony for bringing his pontoon boat, and Dennis and Ken's john boats. 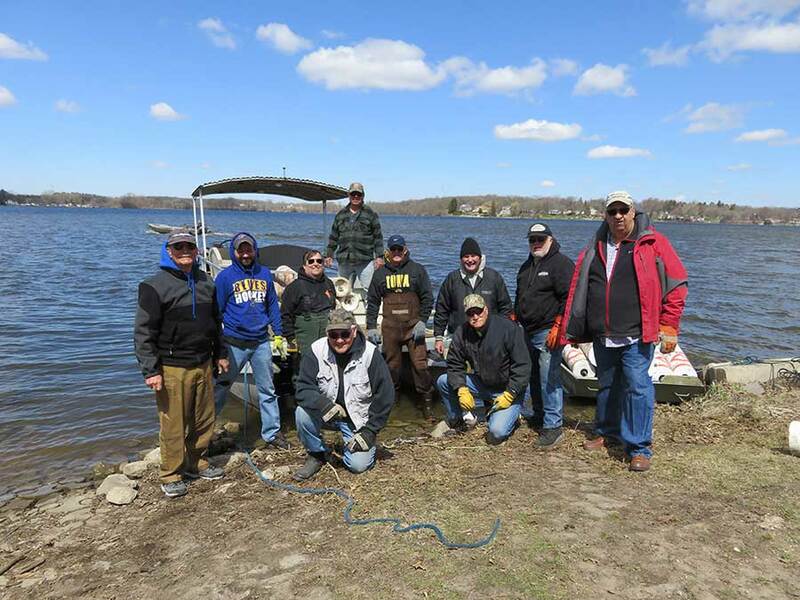 The crew consisted of left to right: Jack Giba, Jim & John Tollini, Ken Shaleen, Tony Musel, Greg Pierce, John Naatz, Dennis Gallo, Bob Romadka and Ron Newman.